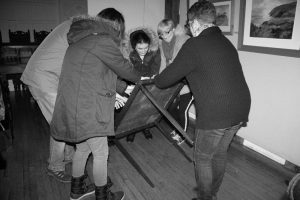 We are a group of enthusiastic, genuine paranormal investigators with a passion for what we do and who enjoy letting intrigued members of the public take part in authentic paranormal investigations. 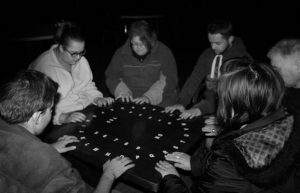 Despite constant effort over centuries of investigating, neither paranormal investigators nor scientists have been able to prove or disprove the existence of ghosts and other paranormal phenomena. Our team has witnessed unimaginable amounts of activity spanning hundreds of investigations. While much of this has been successfully explained away, plenty of activity has not been debunked despite the team’s best efforts. So, why not use our expertise and join us on an investigation as we search for real evidence of genuine paranormal activity? On our investigations, we use a combination of scientific and spiritual methods and attempt to make sense of – or even debunk – any evidence we gather. We can guarantee any activity that occurs is genuine and our team never fake or stage anything. We expect and hope that those taking part on a Paranormal Friends investigation does the same. 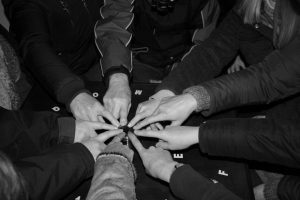 Due to the vast experience of the Paranormal Friends team, you are in good company – and for added peace of mind we also carry public liability insurance. We love getting feedback and these are just a few of the comments we have had from keen investigators who have joined us at one of our many locations. Excellent night; really enjoyed it .Would definitely love to go back again.